Recently, Lauren attended a baby shower for a friend back in Raleigh. While there, one of her past co-workers brought a basket of gifts for Lauren and I to celebrate the birth of our own baby, Violet. Inside was a onesie which, as you see below, plays to my association with all things facial hair. "If you're Dad doesn't have a beard, you really have two Moms." Clever, humorous, and I'm sure offensive to some. It was this thought which made me pause as I began to upload this image to social media. Without explanation, if I were to post this image on Twitter, Instagram, Facebook, etc...what theological implications would I be applying? Words and actions carry weight, and I want mine to be significant. Often I get pigeonholed by others as of having a certain way of thinking, and these assumptions depend a lot on the crowds I find myself in at different times. Do I feel a certain way about this or that issue? Does feeling that way about "Issue A" automatically makes me feel a certain way about "Issue B?" What I've come to see is that when folks can categorize you they are more likely to judge you, and if I can help it, I don't like giving them that satisfaction. That's why I want to start something a bit different. Something that doesn't promote sameness, but encourages unity. That's why in my social media post about the onsie I said, "But ya' know if you have two mom's that's pretty #cooltoo." #Cooltoo I hope fosters open dialogue while still encouraging individual perspective and honoring personal experiences. "I grew up with a mom and a dad. You grew up with two moms. That's #cooltoo"
"I'm a parent, but you're not. That's #cooltoo because we both know what its like to have responsibilities." "I like sausage you like pepperoni, but that's #cooltoo because we both like them on pizza." "I'm liberal you're conservative, but that's #cooltoo because we both think taking care of the earth is important." "I'm Christian you're Muslim, but that's #cooltoo because our faith is an active expression of love in this world." 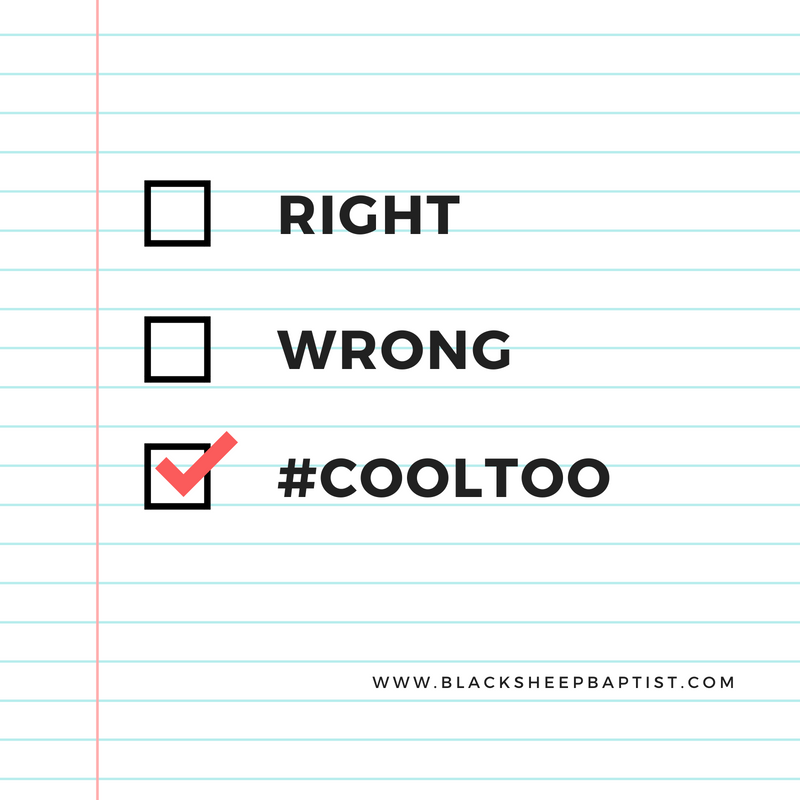 If anything, the spirit of what #cooltoo is dialogue with others. It's a movement based on adding "and yes, instead of but no."